As a Mac user, you already realize that some peripherals are simply not suited for use with an Apple computer. Most printers are capable of interfacing with both Mac and Windows machines, but there are some printers that are just better when used with Mac hardware. Here are the ten best printers to consider if you are a Mac user, looking for convenient printing options with excellent quality. The list is broken down into inkjet, laser and all-in-one printing solutions for your convenience. Epson Artisan 855: ($300) This moderately priced color inkjet printer also provides the ability for users to copy, scan or fax documents if they should require this technology. The printer has wireless printing capabilities and can also be networked with a wired ethernet connection or connected directly to your computer. The printer comes with printing software that will be an excellent addition to your Mac software. Epson Stylus NX420: ($79) This inexpensive all-in-one printing solution is perfect for your home and family use. It prints excellent quality documents at a relatively fast speed compared to other printers in its price range. The simple to set up wireless connection makes getting started quick and easy. Canon MP560: ($115) Mac users want high quality printing and all-in-one convenience with their home printers. The MP560 is an excellent choice, as it can be set up in just a few minutes and it provides high resolution prints. This printer works well with Airport Extreme and can work well with Macs and Windows machines simultaneously. Kodak ESP7250: ($117) Even in color, this printer puts out about 30 pages per minute. The very low purchase price makes this an attractive all-in-one home printing solution for Mac users. It is simple to set up and comes with a suite of printing software that can be installed in just a few minutes. Brother HL5370W Black & White Laser: ($200) An affordable monochrome laser printer with wireless connectivity is perfect for small businesses where Macs are used. The wireless networking is simple to set up with the intuitive interface and this printer provides high quality prints with a very short start up cycle. The toner cartridges are affordable with a cost per page of roughly 1.1 cents if using the high capacity cartridge. Brother HL2170W Laser: ($191) Less robust than the 5370W, this printer prints at about 23ppm and requires very little time to set up. There is a short start up delay as the printer warms up prior to printing. For most home users, this is an excellent choice. Samsung ML2525 Laser: ($99) This is one of the quietest personal laser printers you will ever own. As a Mac user, you need robust printing and this small printer will provide you with high resolution prints. This printer takes a bit longer to set up with networking than other options, but it is simple to use. HP LaserJet CP1515n Color Laser: ($200) This full color laser printer is an excellent solution for small businesses and home offices. It has a low per page printing cost and produces sharp and high quality prints. This is a decent photo printer for it’s low start-up pricetag. Canon PIXMA MP620 Inkjet: ($100) This full-color inkjet is a very affordable inkjet printing solution for those who will print infrequently. There are very few options for printing with this machine and there is no option for draft quality. For home users, it is an excellent choice. 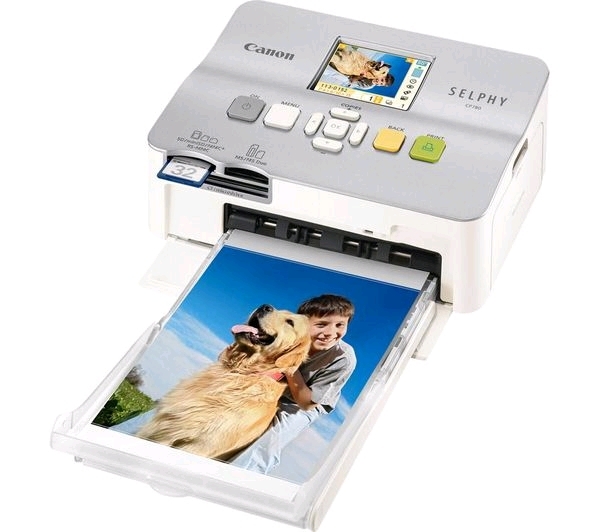 Canon PIXMA iP100: ($200) This printer is a specific photo inkjet printer that works excellent for Mac users. The output rate is only about 10-15ppm depending on whether it is black and white or color printing. This is the highest quality available in a mobile wireless photo inkjet printer and although it is relatively expensive to operate it is an excellent printing solution for its price. Mac users have come to expect high quality workmanship from their printers. Many Mac users are looking for high end personal printers to produce high end photographic quality printing. These ten printers are rated as among the best for Mac users and each has qualities that sets it apart from the competitors. Every year, new printing technology comes along that appeals to Mac users. These printers will be models that can be used for several years without a need for replacement. An important thing to make a note of is the maintenance costs and how much you will use the printer. Guest post written by: James Adams reviews a range of Canon supplies and supplies from other top manufacturers at CartridgeSave.co.uk. Yes it would be helpful and thank x for your effort to collect these list of printer. I am interested to change my topic about how to start Blogging and which topic is the best for me. here is my blog url http://thinkchanger.com/ feel free to give me any suggestion to improve it. Very nice list …it surely helps to those who is looking for Printers for Macs. Awesome article, really helpful for those who are looking to buy new printer. Its certainly a good article. But Personally I prefer HP printer because they have good support and also they are way secure than any other printer OEM out there. Anyways kudos on a nice post. It is a quite good article. Previous post: Mac App Store now open!